Backlash was swift when it was publicized in January that the New York State Department of Corrections and Community Supervision (DOCCS) had begun requiring that packages to prisoners come from a handful of state-approved vendors only. 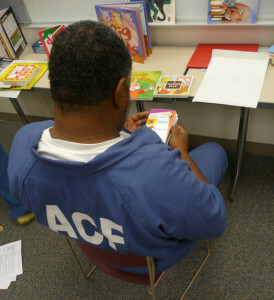 While the package contents were not limited to books, the proposed change hampered books-to-prisoners organizations in their mission to provide reading material to the incarcerated. A large part of the controversy stemmed from the initial five vendors’ limited selection of fewer than 100 books, many of which were coloring or puzzle books. Stories in The New York Times and elsewhere exposed the decision, prompting Gov. Andrew Cuomo to reverse the policy. That rapid change in response to public scrutiny mirrored one that took place in New Jersey a few days prior to Cuomo’s decision. The New Jersey Department of Corrections had banned prisoners from reading Michelle Alexander’s 2010 book The New Jim Crow: Mass Incarceration in the Age of Colorblindness, which explores the US prison system and the incarceration of African Americans. The decision to lift the book ban came within hours of the American Civil Liberties Union of New Jersey sending a letter to the department of corrections demanding it remove the restriction. On May 3 the US Bureau of Prisons made a similar move when it rescinded a policy that banned direct delivery of books from publishers, book clubs, and bookstores to inmates in federal prisons. Newspaper headlines and letters from attorneys threatening legal action often get results, but the challenge of getting reading material to prisoners is widespread and recurring—once one problem is fixed in one state, the issue often emerges in another. Organizations in smaller states often find little recourse when individual prisons and prison systems decide to shut them out. These groups must rely instead on negotiating with corrections departments. 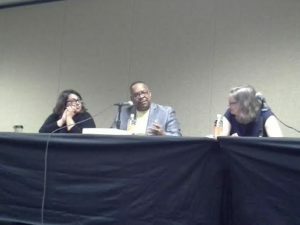 American Libraries found books-to-prisoners organizations in Arizona and Mississippi that also have recently dealt with policy changes at corrections departments that they say have put restrictions on their programs. And though the immediate battle in places like New York appears over, advocates there are waiting for the next move by DOCCS. They argue that prisoners who are allowed to read are less likely to end up back behind bars, and many are requesting reading materials—some commonly requested books are dictionaries and books on learning a trade and how to start a business—to prepare themselves for life after release. Books-to-prisoners groups in New York lauded Cuomo’s decision to reverse the recent DOCCS policy there, but Amy Peterson, of the NYC Books Through Bars collective, says her group is waiting to see if the department revises the original policy. In a January 9, 2018, story in The New Yorker, DOCCS Acting Commissioner Anthony J. Annucci was quoted as saying that the policy is an effort to reduce the amount of contraband, such as drugs and weapons, smuggled into the state prisons. But Peterson, whose group sends books upon request to prisoners in 40 states, believes such policies are largely focused on the bottom line. “Contraband is the easy excuse for those kinds of directives, but it’s also a way to save money in the packaging room,” Peterson says. 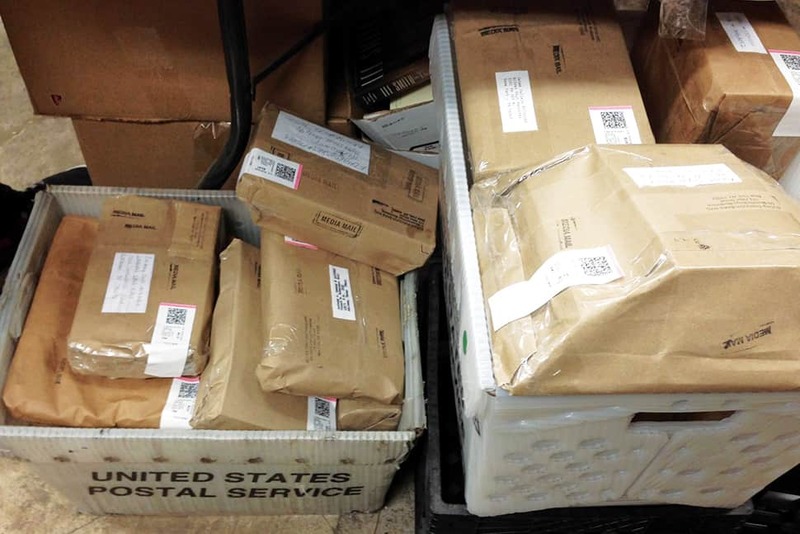 The fewer the number of packages that come in from multiple sources, the easier and less expensive it is to check them for contraband, she says. In addition to saving money on the back end, some prisons can turn exclusive vendor deals into a revenue stream, Peterson adds. It’s not the case in New York, she says, but some systems will negotiate a contract with vendors and get a percentage of the sales. Peterson says books-to-prisoners groups are also frustrated by banned books lists, which are frequently not made public. “They have these lists, but they won’t share them with anyone because they don’t want anyone to raise their eyebrows,” she alleges. In November 2017, The Dallas Morning News exposed such a list in Texas that included more than 10,000 titles. Books like The Color Purple, A Charlie Brown Christmas, and Freakonomics are on the list, but others, such as Hitler’s Mein Kampf and two titles by white supremacist David Duke, are allowed, the newspaper reported. The Texas Department of Criminal Justice reviewed the policy following media coverage of those lists. Exposure of policies blocking books-to-prisoners groups does not always work. In spring 2017, the Arizona Department of Corrections instituted a policy requiring books intended for individual prisoners to come from major publishers and retailers. Donated publications not from recognized institutions would be “processed as contraband or donated to an inmate library,” according to Arizona Department of Corrections Department Order #914, enacted April 7, 2017. Matt Peters says his group, Read Between the Bars, did not learn of the policy until the prisons began returning their packages.